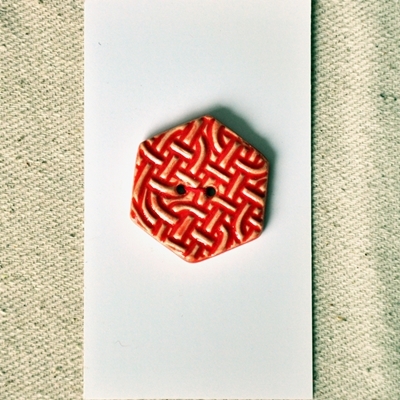 Button measure 1.5″ (3.81 cm). 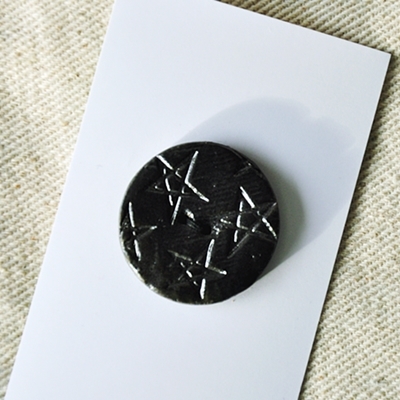 This listing is for 1 button. 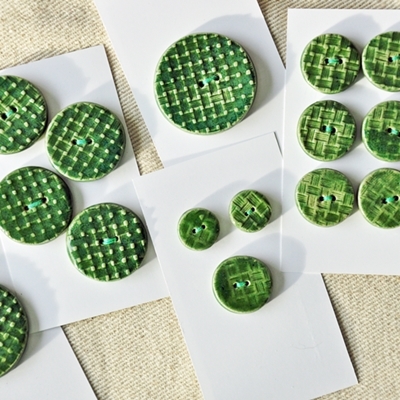 Buttons measure 1″ (2.54 cm). Black or orange also available, with a range of background colors. 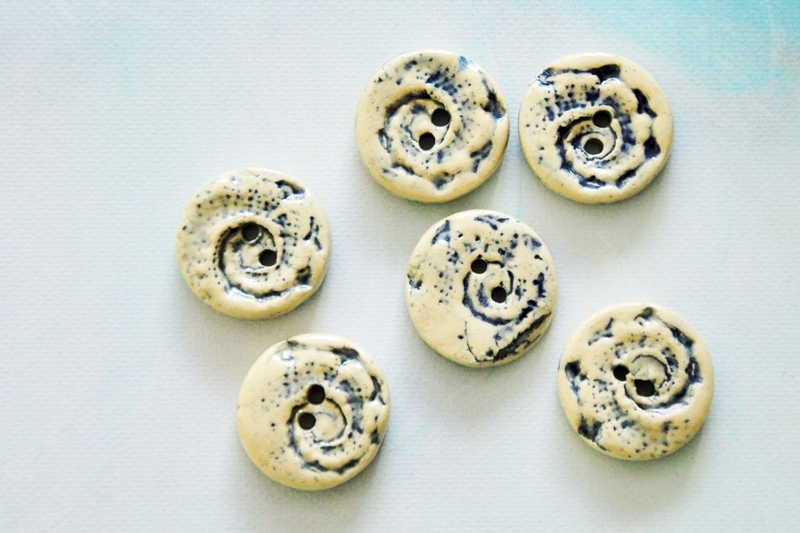 Hand crafted glazed buttons with leaf impressions. These are made of stoneware and kiln fired to mid range and are water proof. 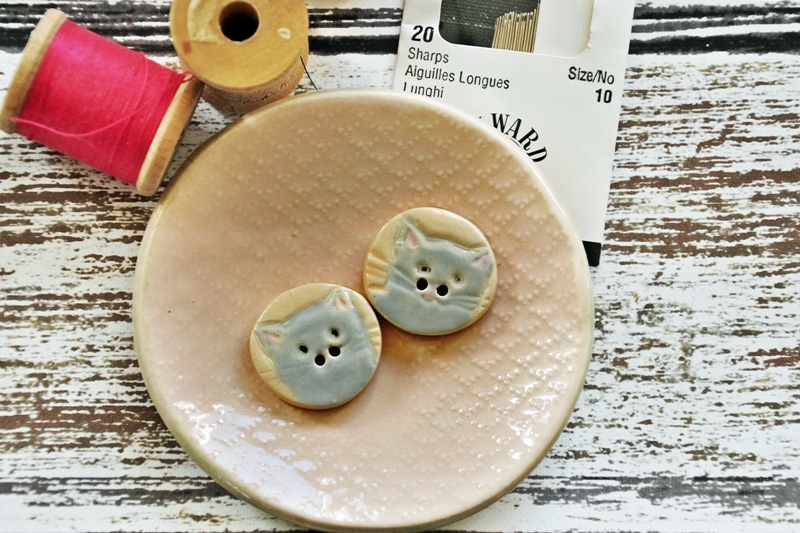 Buttons measure approximately 1.25″ (3.2 cm). 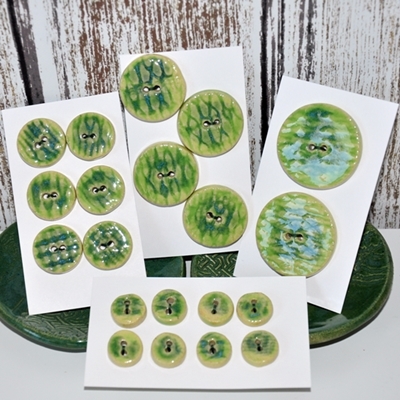 Select from 3 background colors: beige/brown; blue; or pale greenish/grey. 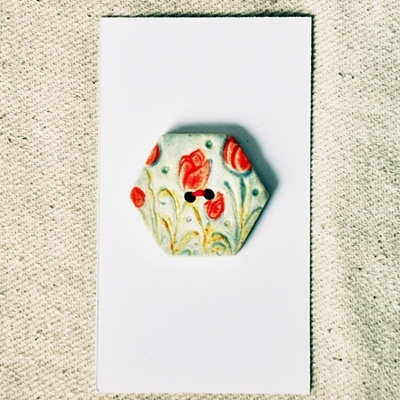 This is a large sized button made from white stoneware clay. 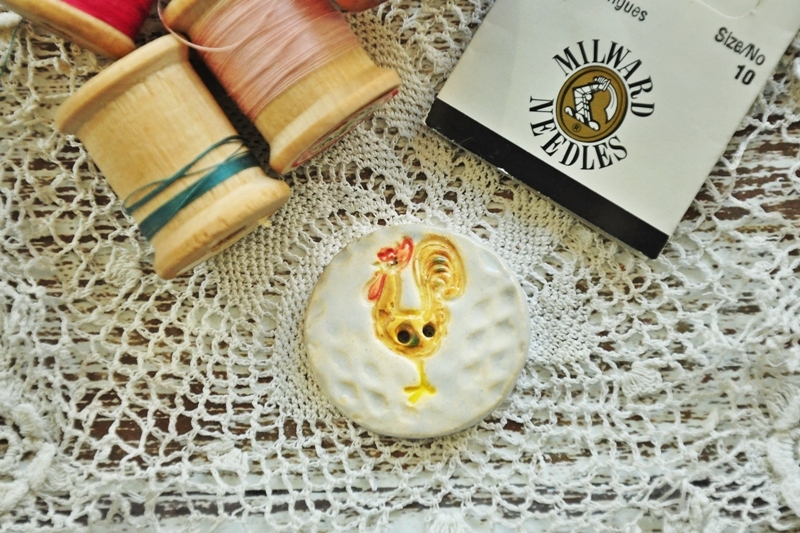 Suitable for sewing onto a hat, scarf, sweater or quilt. 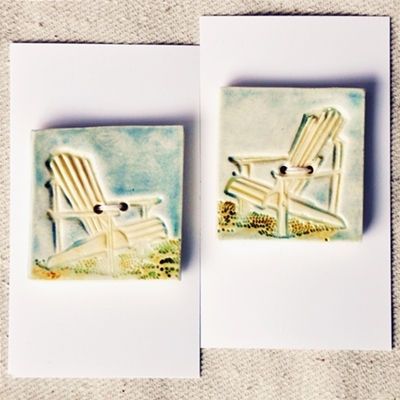 Hand painted with non-toxic glazes and kiln fired. 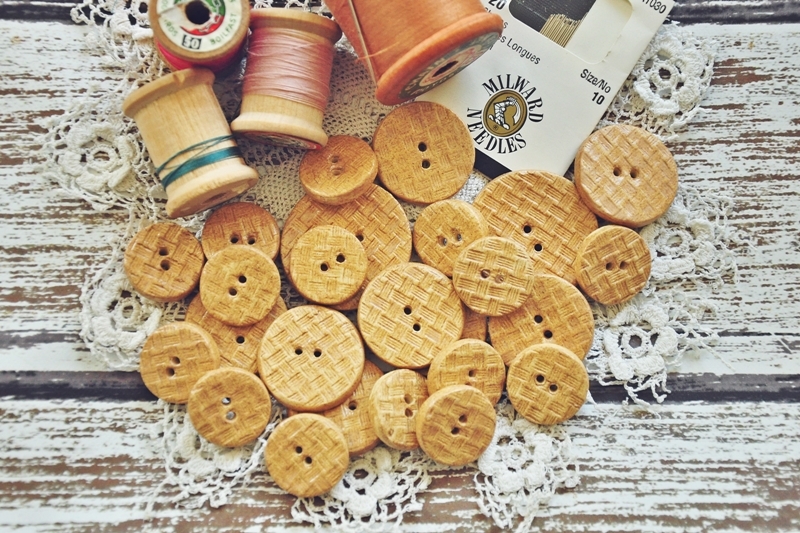 Sewers, knitters and quilters love working with handmade buttons. 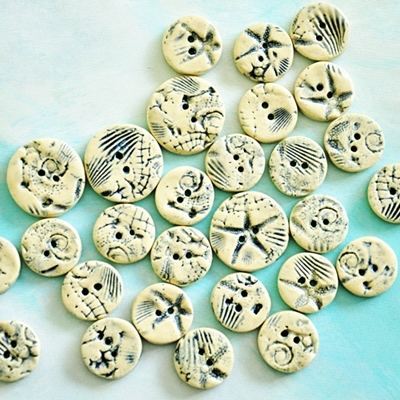 Handmade buttons will give an added element of interest to any project. 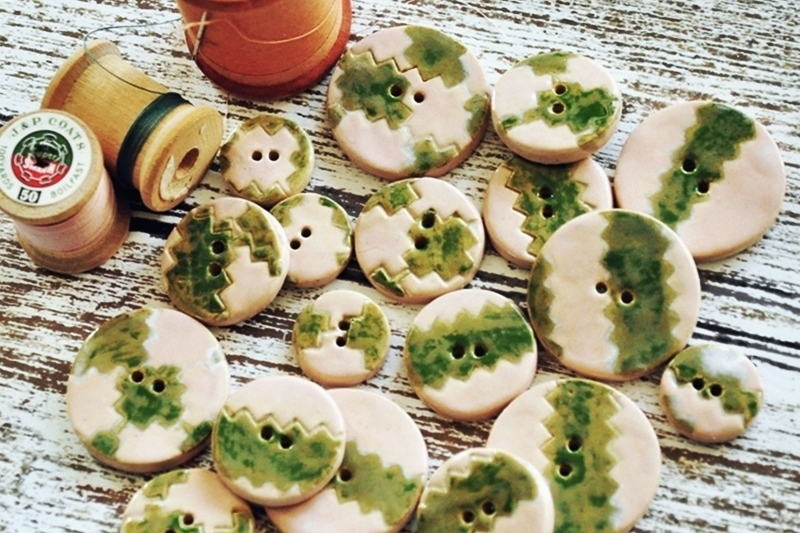 Handmade buttons look great on sweaters, scarves, purses, pillows and quilts. Or they can also give new life to an old shirt or jacket. 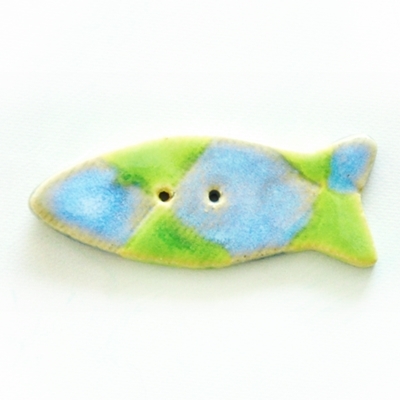 Made of white stoneware clay, glazed in primary colors and kiln fired. They are durable under normal use, and fully water proof. 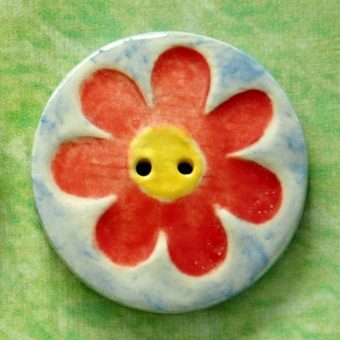 The flower was rubber stamped onto the wet clay, after drying three glazes (red, blue and yellow) were hand painted onto each button. Colors can be customized. (Click on item title and fill in dialogue box). 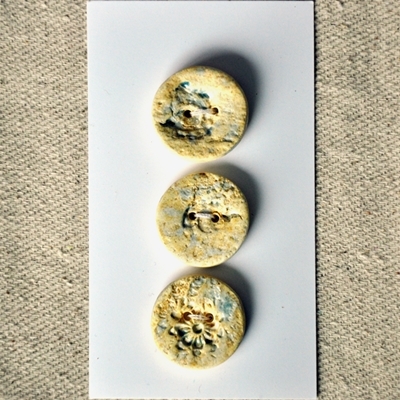 Photo shows orange with blue, grey with blue, black wash, and blue wash. 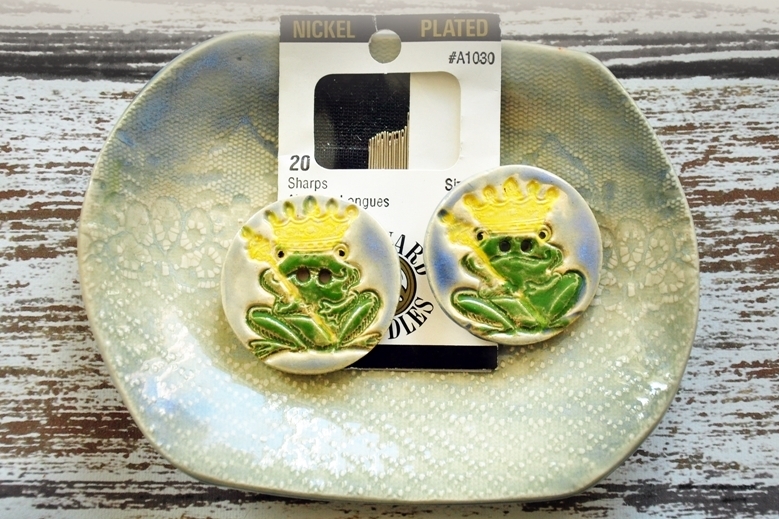 Measures approximately 1″ (2.54 cm). 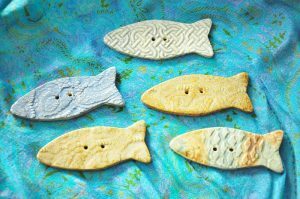 Decorate a purse, scarf, quilt, jacket, or other special project. 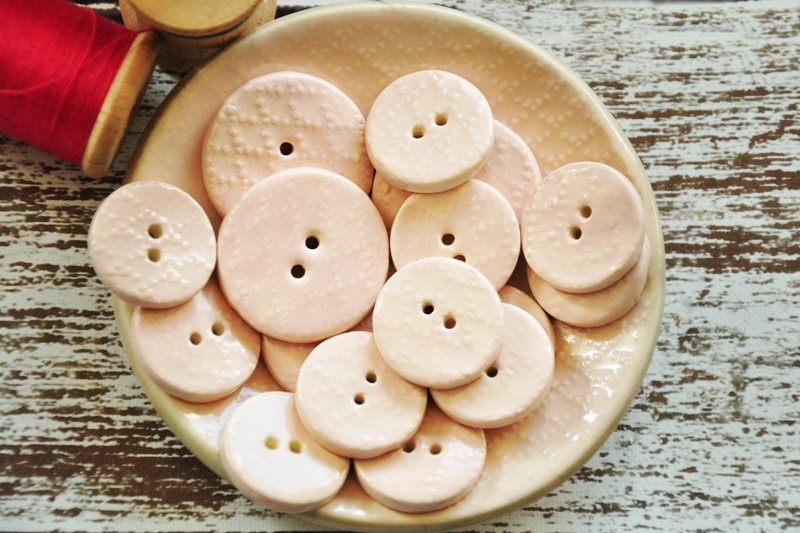 Unique glazed textured buttons made from white stoneware clay. Available in a variety of colors and textures. Special order or inquire about selection. 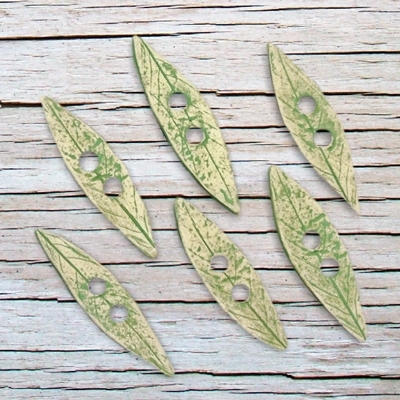 Each measures approximately 2″ (5.08 cm) long. 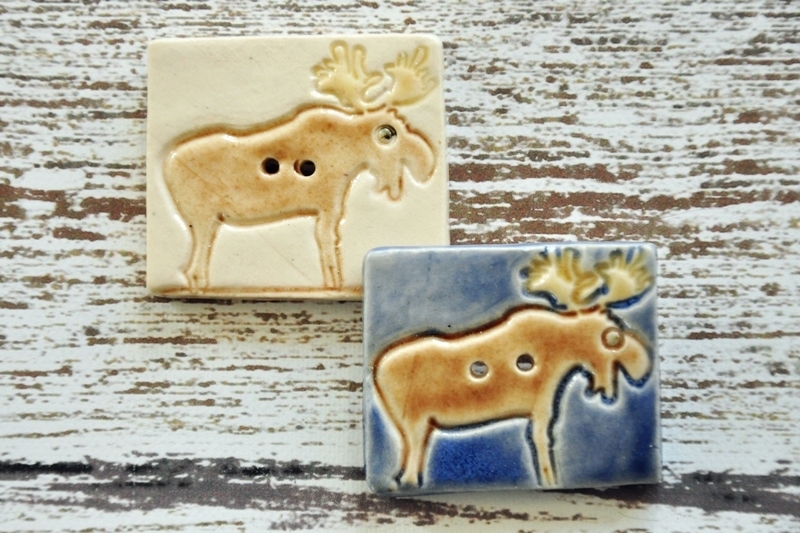 Marvelous moose button, either with a blue or white background, but also available in custom colors by request. 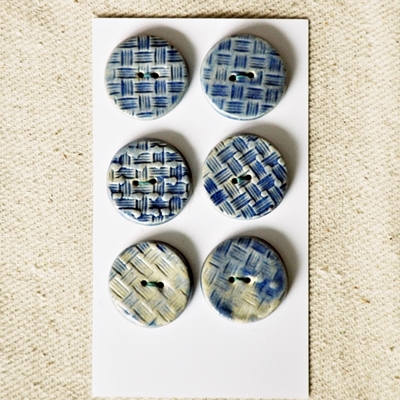 Button sizes vary slightly, measuring approximately 1.5″ (3.81 cm). Large – measure 1.5″ (3.81 cm); Jumbo – measures 1.75” (4.45 cm). 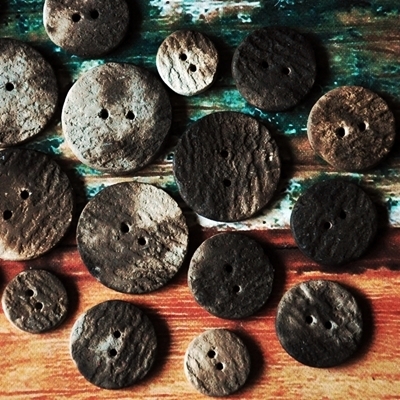 These rustic looking buttons have a bark like texture and have been pit-fired, which gives an earthy, dappled appearance with many subtle variations, from charcoals and light greys to browns and beige. 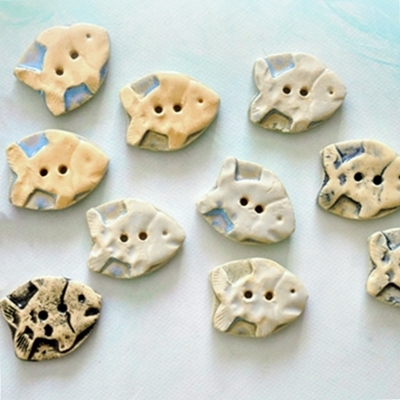 Ceramic buttons look great on purses, scarves and sweaters, or added to a quilt or wall hanging for decorative interest. 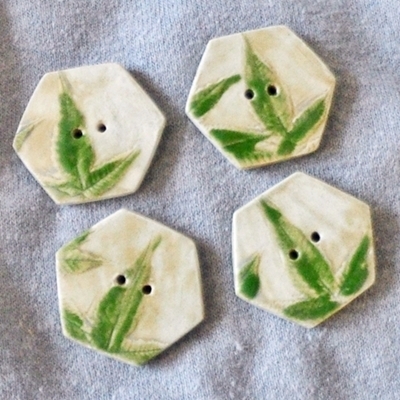 Off white or white stoneware clay. 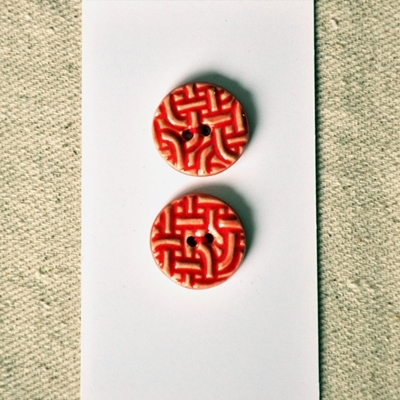 Photo shows 3/4″ (1.9 cm) size. 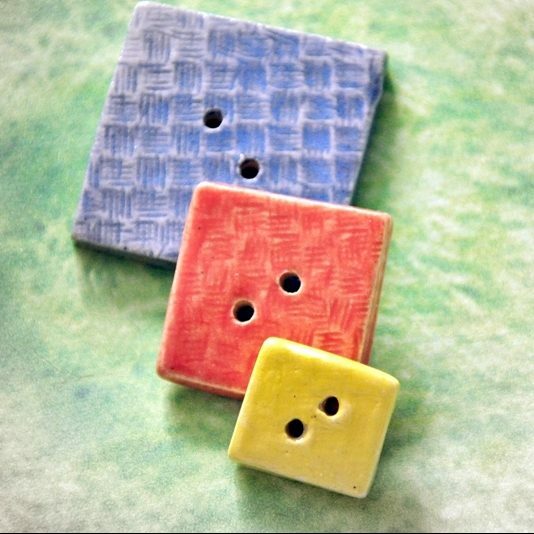 Unique glazed textured buttons made from white stoneware clay, hand glazed in primary colors, but other colors may be special ordered. 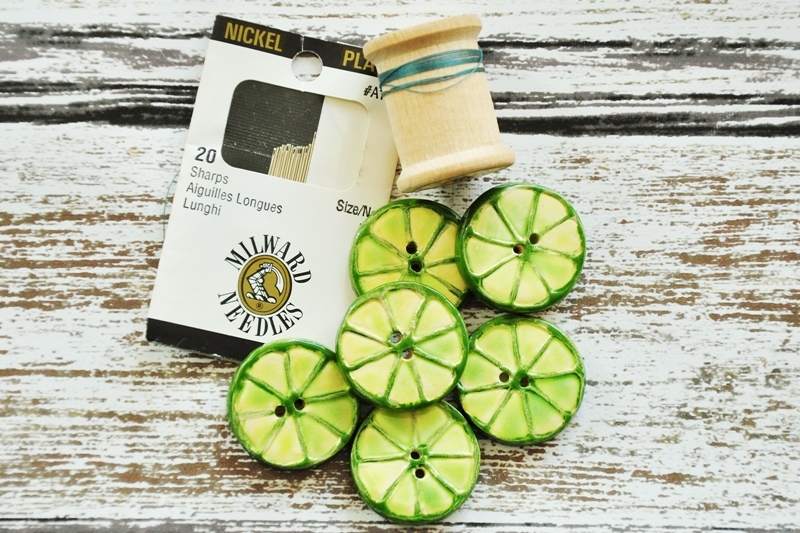 Decorate a purse, scarf, quilt, jacket, or other special project. 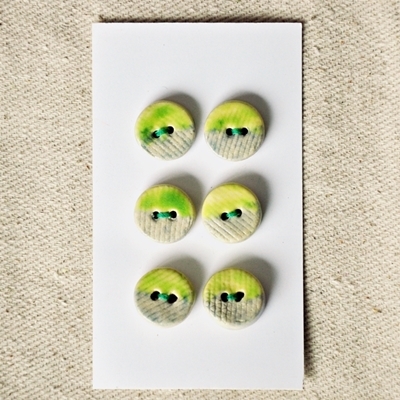 This listing is for a set of three buttons. 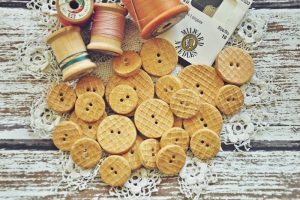 Each button measures approximately 3/4″ in diameter. 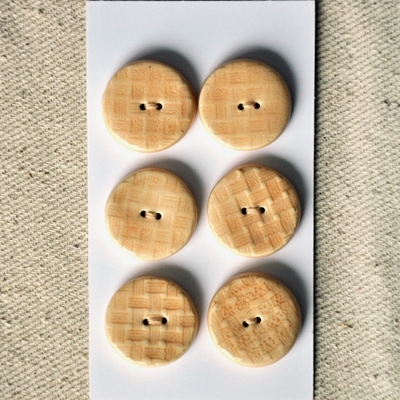 Medium buttons measure 1” (2.54 cm).